The Georgia Canoeing Association is proud to announce that is will be offering a Long Boat Clinic. The instructor will be Chris Hipgrave from the Nantahala Outdoor Center. This clinic will be limited to current GCA members and is free of charge. This clinic will be held on the Nantahala River as part of the GCA’s Spring Extravanza on May 14th. 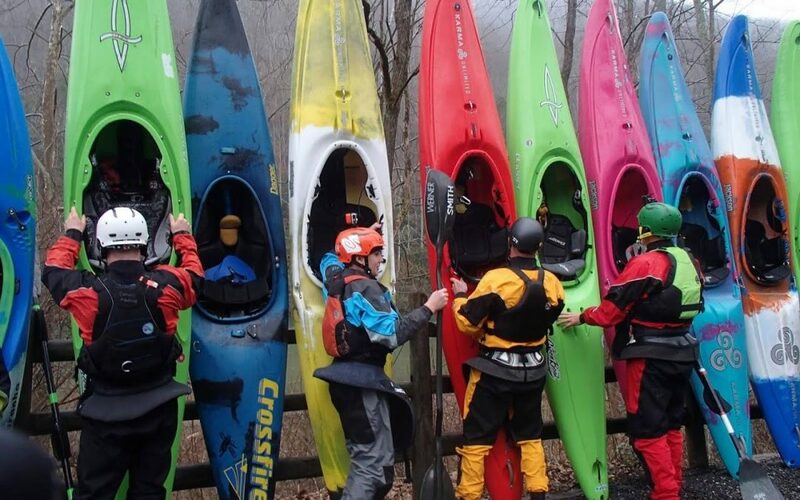 As such, the participants should be comfortable in a river environment such as the Nantahala River. This will include. The water temperature will be cold so appropriate clothing must be worn. The participants of this clinic will be required to fill out a questionnaire before being put in the class. They will also need to sign the NOC waiver before the class. As a final note, you will probably want to bring a snack that you can pack in your boat as we will be working hard and the river is cold. Final details to the class participants will be sent out via email to those who register by filling out the questionnaire.